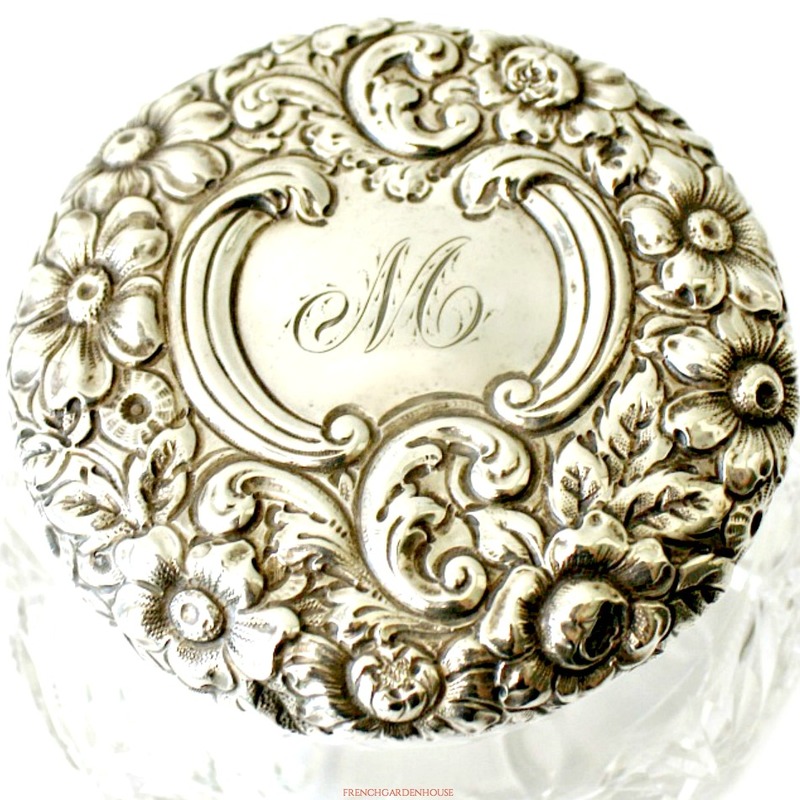 Rare, very large, Art Nouveau, sterling silver and cut crystal powder jar, made in the late 1800's. 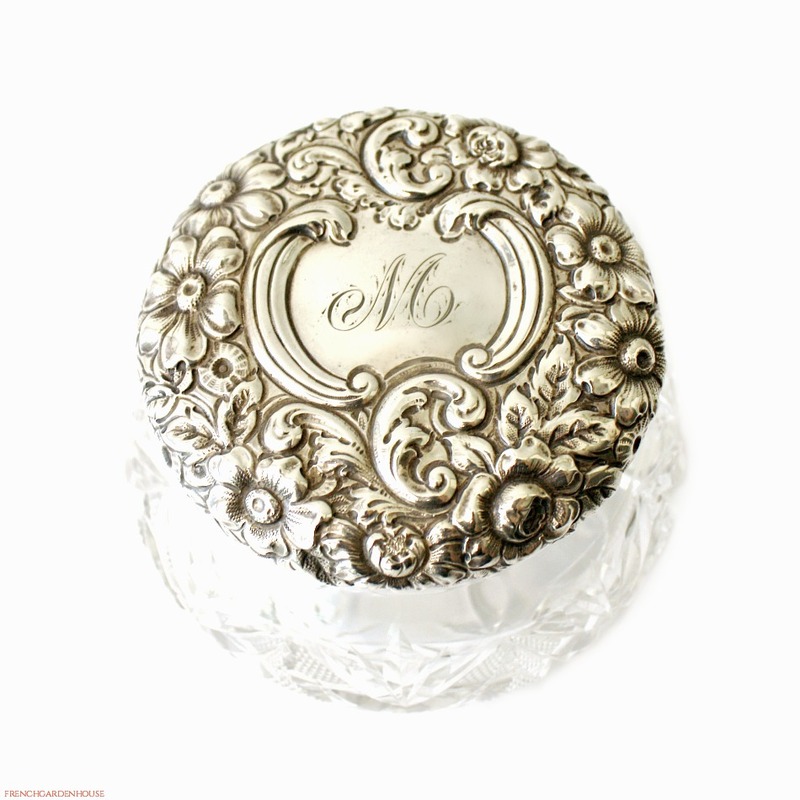 The sterling silver lid is decorated with an Art Nouveau garden of repousse flowers, flowing leaves and scrolls, stunning! 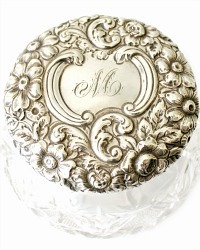 The center cartouche has been monogrammed with a decorative script M, exquisitely and very masterfully done. 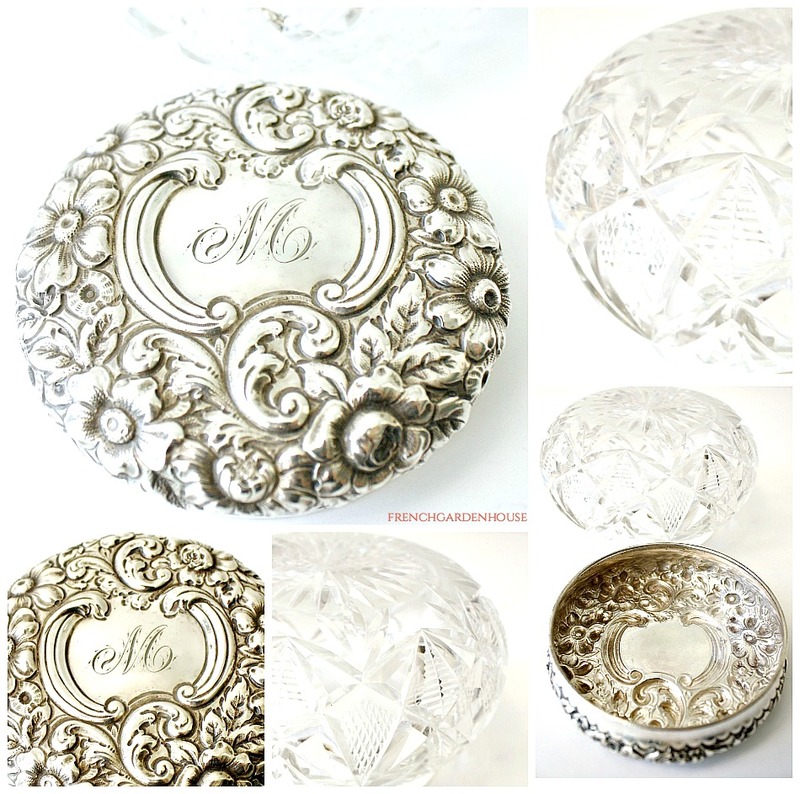 The heavy crystal is beautifully cut with incised patterns, this is a beauty! Perfect to use on top of your French Vanity to hold loose powder, your diamond earrings and jewelry, or even a little container of sugar free candy on your nightstand. In good collectable antique condition as shown, the inside rim of the crystal has a small fleabite which you feel more than see, commensurate with a useful pot that has been cherished and used daily for over a century. A sterling addition to your collection.